Our Italian wwoofer gave us this recipe while staying with us. It's a very healthy breakfast and so easy to make! This recipe requires no cooking! Raw and tasty. 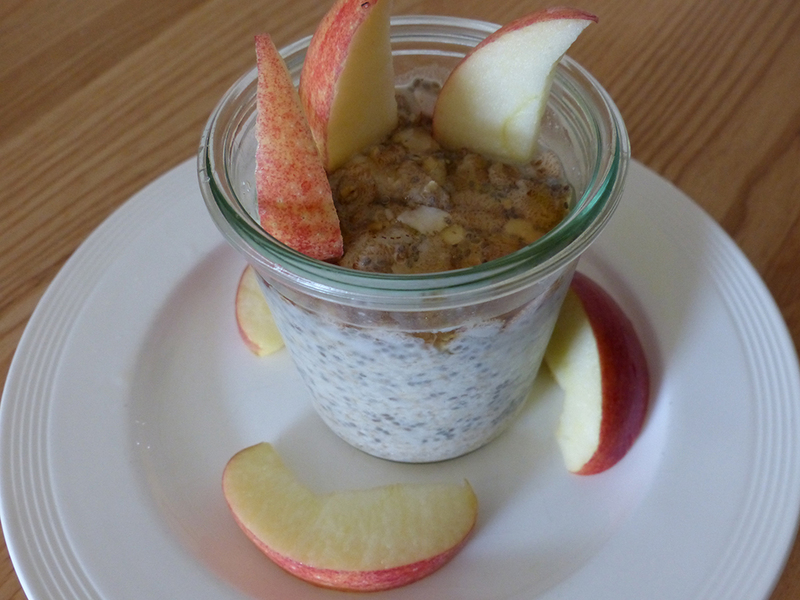 Mix together the oatmeal, chia seeds and muesli and put in a jar or bowl. Add enough almond milk to cover it, cover the jar/bowl and leave to soak overnight. In the morning add date syrup to taste and any seasonal fruit.